Are you passionate about Lingerie & Retail? Do you dream of becoming a real expert with the knowledge and skills to advise and inspire customers? If you’re a great team player and can train, coach and motivate a team of passionate Sales Assistants, then you could be ‘So Us’. 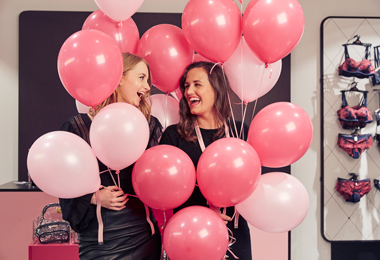 We’re looking for someone who can inspire our customers every day with their passion for lingerie and deliver the ultimate customer experience. Would you like to see more assistant store manager jobs? You’ll love being part of a team and motivating, training and coaching the sales team. You’ll work hand in hand with the Store Manager to ensure the store runs smoothly and if she isn’t around, the store will be in your capable hands. Our Assistant Store Manager always have flexible attitude and keep their cool, even when things get a little stressful. At Hunkemöller, we’re focused on delivering great results so you’ll need to share our ‘winning mind set’ and be determined to shine. We’re looking for dynamic Assistant Store Managers who can use their own initiative and will enjoy making friendly, genuine contact with our customers. Listening to what our customers say will help you really understand how to help them, making sure they leave your store happy and wanting to return. As an Omni-channel business, we encourage all our staff to be active on Social Media and as a Assistant Store Manager, you’ll set an example to the rest of your team.